In a wine glass place apertif wine and maraschino liqueur. Add ice cubes, and top with the Michelle Brut. 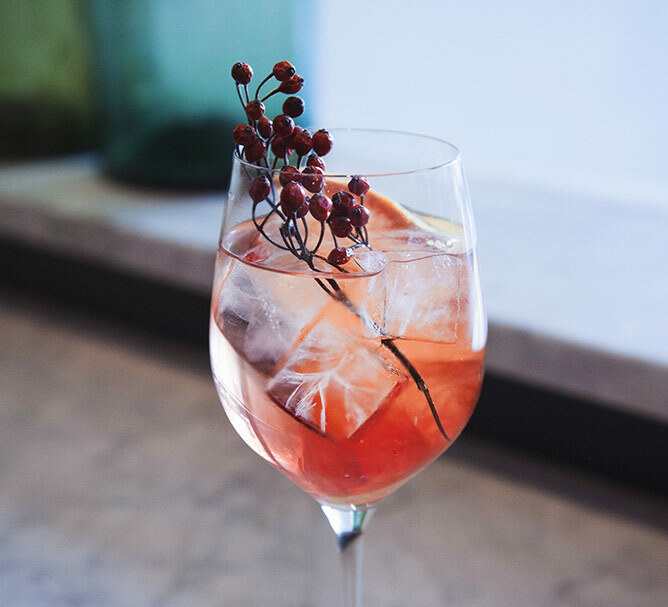 Garnish with a grapefruit slice, rose hips, and a mist of rose water.